Shortly after Suzuki Motorcycle India updated the Gixxer with an optional single-channel ABS in May 2018, the Japanese brand has now launched the 2018 iterations of the Gixxer SP and the Gixxer SF SP. For 2018, the motorcycles feature a relatively subtle gold and black colour scheme, with an exclusive 2018 SP emblem. The 2017 models had a rather loud red, black and silver colour scheme. The Gixxer SP employs a carbureted engine, whereas the SF SP variant now comes with fuel injection only. Another change for the 2018 Gixxer SP and Gixxer SF SP is the inclusion of a single-channel ABS as a standard fitment. As a result, the price of the Gixxer SP has gone up by Rs 4,910 compared to the 2017 SP variant, and it now costs Rs 87,250. Price of the Gixxer SF SP, however, has remained the same, at Rs 1,00,630. The 2018 Gixxer SP and the Gixxer SF SP compete with the Bajaj Pulsar NS 160 (Rs 82,624), Honda CB Hornet 160R ABS DLX (Rs 93,643) and TVS Apache RTR 160 4V EFI Disc variant(Rs 91,035) (all prices ex-showroom Delhi). Here’s Suzuki’s official word on the launch. 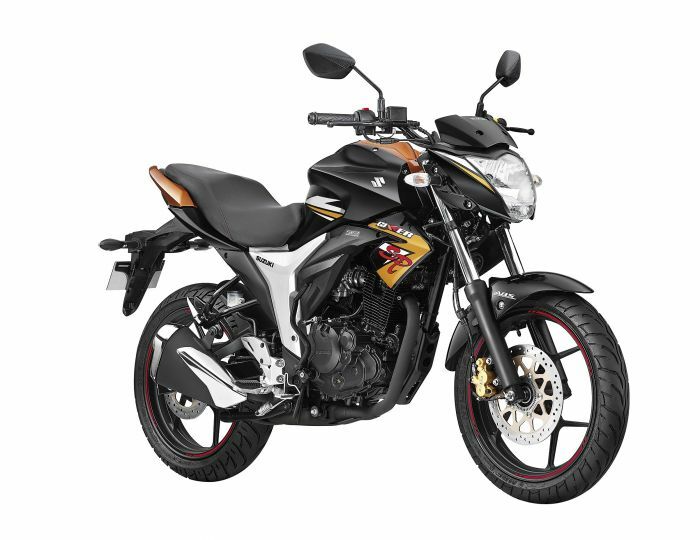 New Delhi, July 09, 2018: Suzuki Motorcycle India Private Limited (SMIPL), a subsidiary of one of the world’s leading two-wheeler manufacturers - Suzuki Motor Corporation, Japan; has introduced the new 2018 series for the Gixxer SP (with ABS) and the Gixxer SF SP (with FI + ABS) motorcycles, here today. The Gixxer/SF SP 2018 series variants feature an attractive gold and black colour combination, new unique SP 2018 Emblem; and new graphics on the front cowl and the fuel-tank that add to the premium appeal of the motorcycles. Both the Gixxer and the Gixxer SF series, are powered by the ultra-light 155cc engine with Suzuki's Eco Performance (SEP) technology, with a wide array of cutting-edge features and a powerful chassis developed by the engineers who designed the legendary GSX-R series. The Gixxer and Gixxer SF recently emerged as the highest-ranked in Motorcycle Upper Executive segment for 3-consecutive years on the benchmark of Initial Quality Survey (IQS); and for the second-time after 2015 in the Automotive Performance, Execution and Layout (APEAL) Study, by JD Power India for 2017. The Gixxer/SF SP 2018 Series will be available in distinguishing shades of Metallic Majestic Gold/Glass Sparkle Black across Suzuki dealerships. 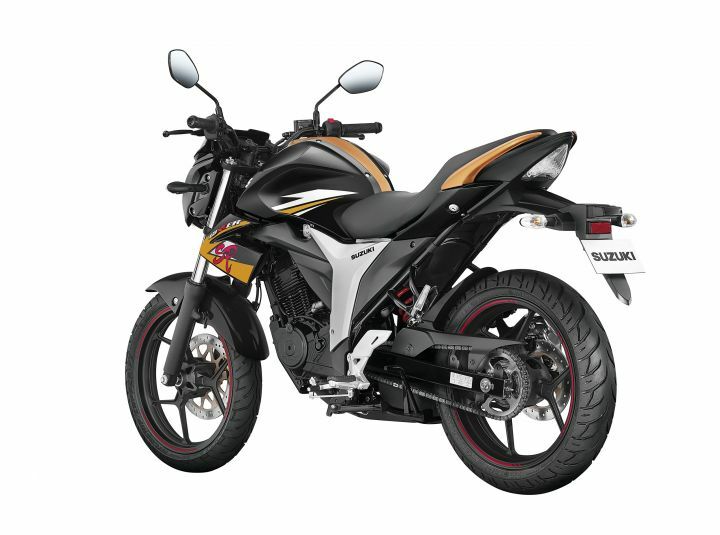 The Gixxer SP (with ABS) is priced at INR 87,250 (ex-showroom Delhi); while the Gixxer SF SP (with FI + ABS) is priced at INR 1,00,630 (ex-showroom, Delhi).